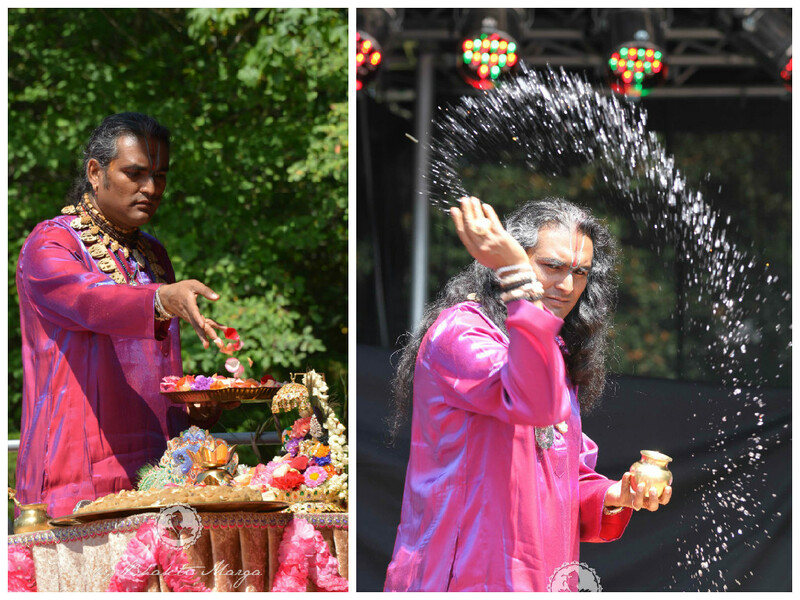 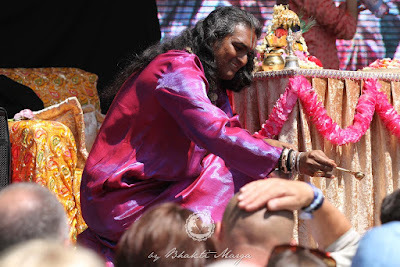 The official programme of the second day of the 10YBM celebrations with Sri Swami Vishwananda, started with him performing puja on some of his private murtis, including Giridhariji and Thakurji. In the end, Swamiji distributed blessed water to everybody present. - OM Healing; Kriya Sadhak Group Practice. The Children were also involved in a range of different activities. 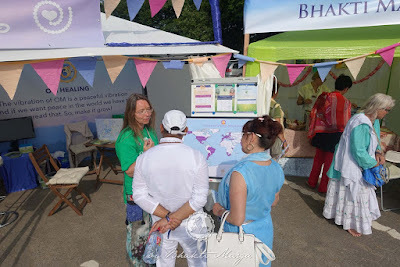 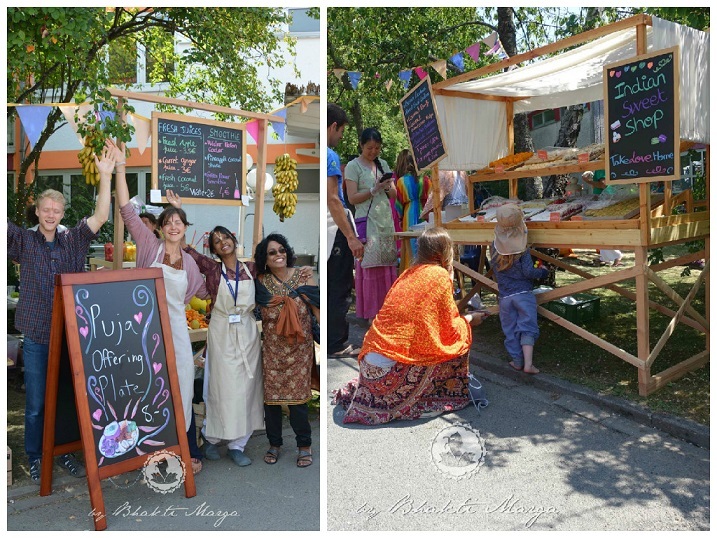 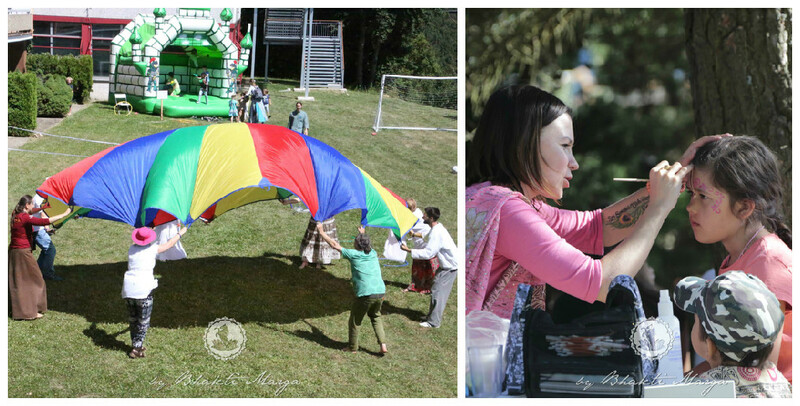 In between activities, participants of the 10YBM Celebrations could enjoy delicious food, sweets, hot and cold drinks, fruits juices and smoothies, ice-cream, or simply browse around the open-air stalls. 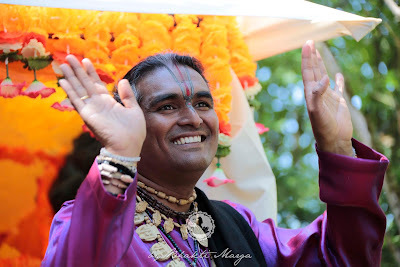 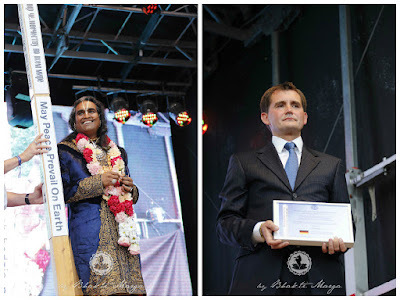 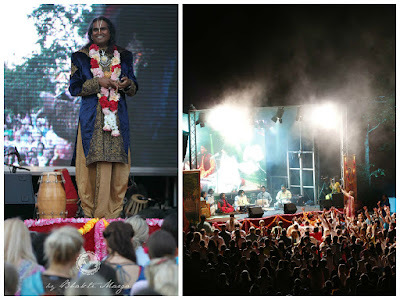 Sri Swami Vishwananda was awarded by the World Peace Prayer Society for his outstanding accomplishments for world peace and harmony in the world. Swamiji received a certificate and a Peace Pole with 2,5 m length, where it is written in 8 languages "May peace prevail on Earth. This Peace Pole is going to be implanted at the Shree Peetha Nilaya grounds. 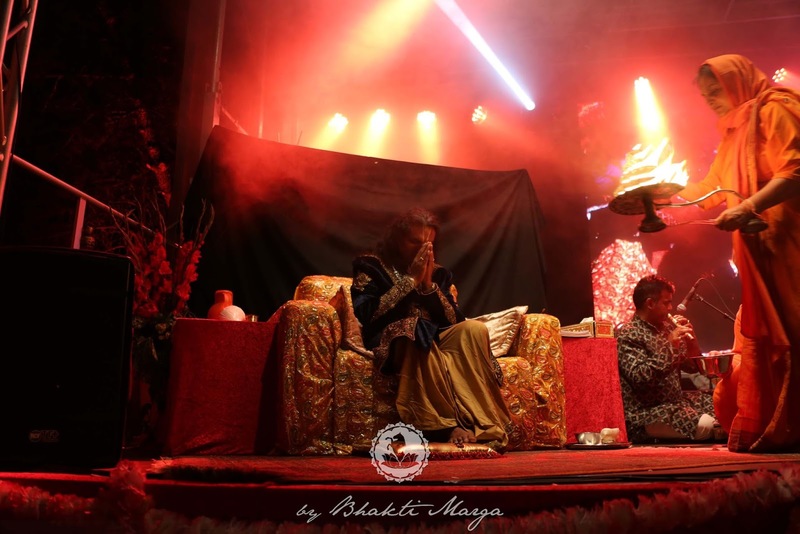 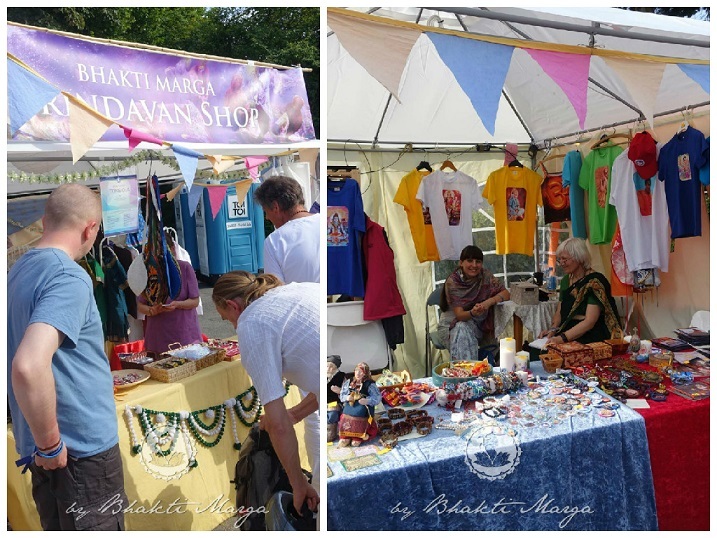 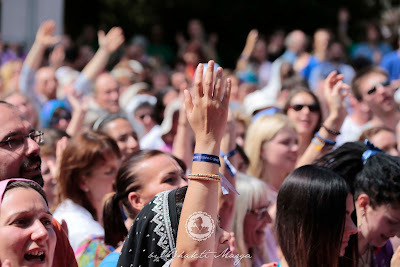 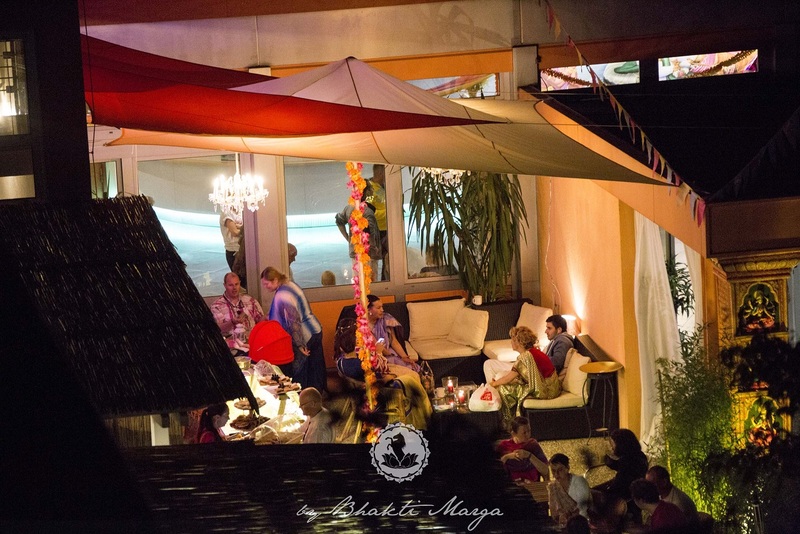 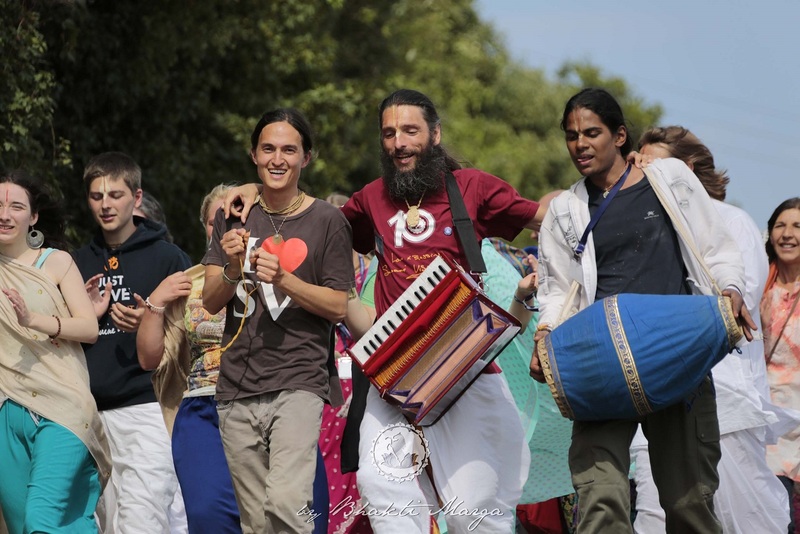 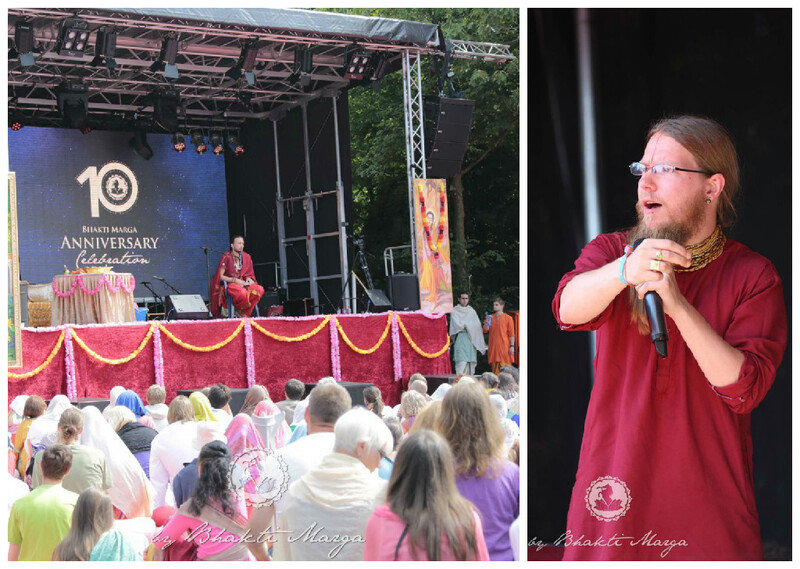 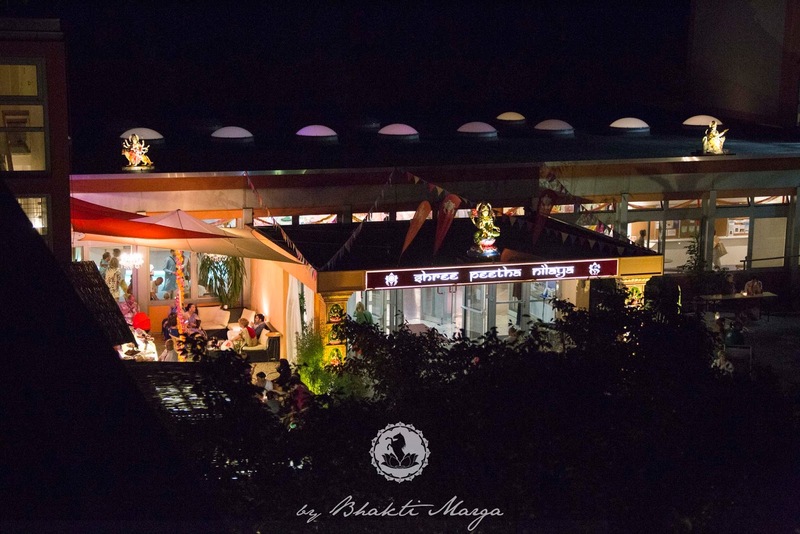 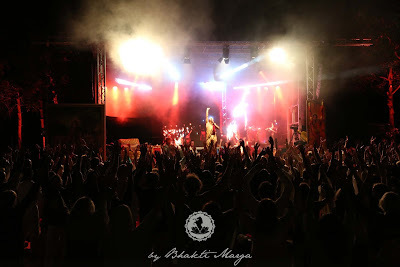 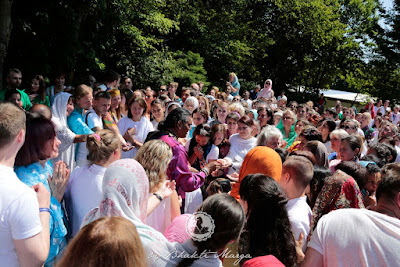 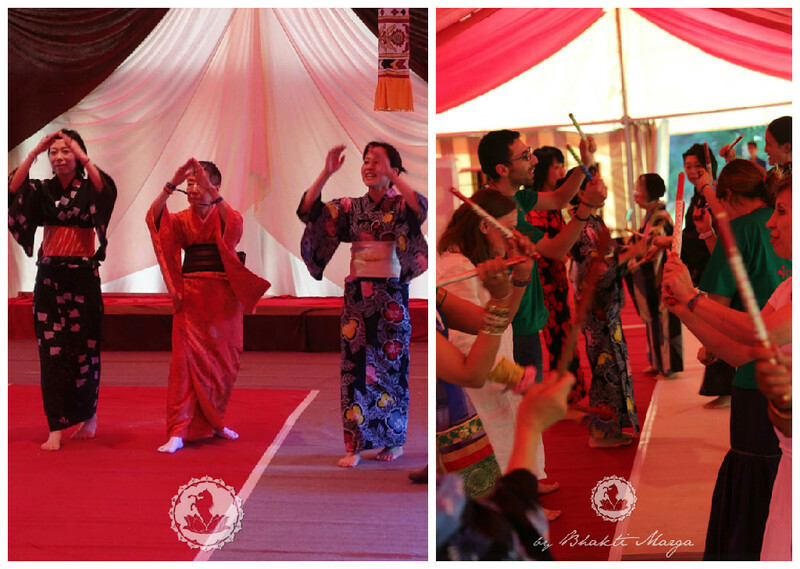 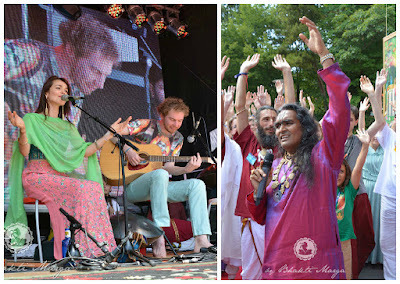 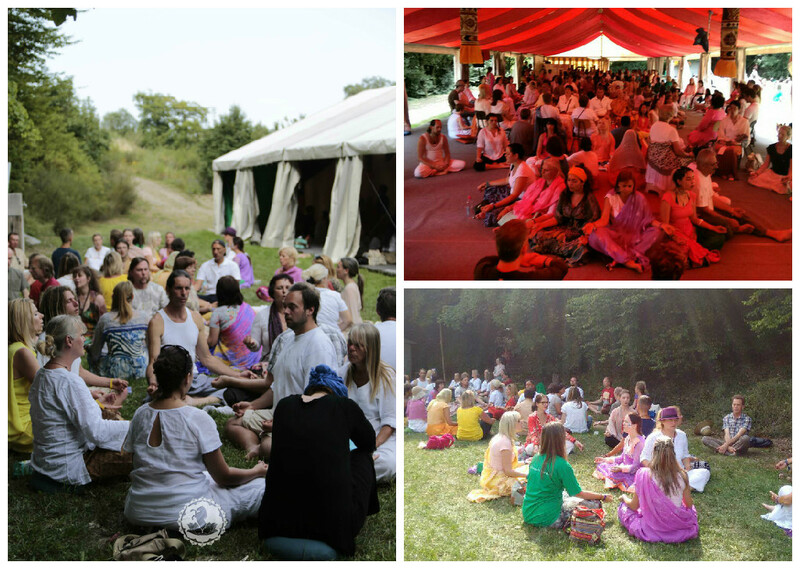 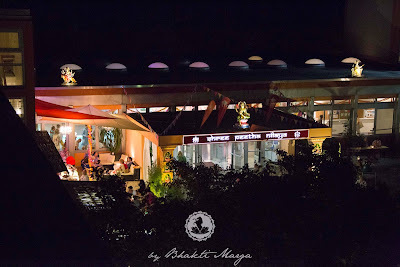 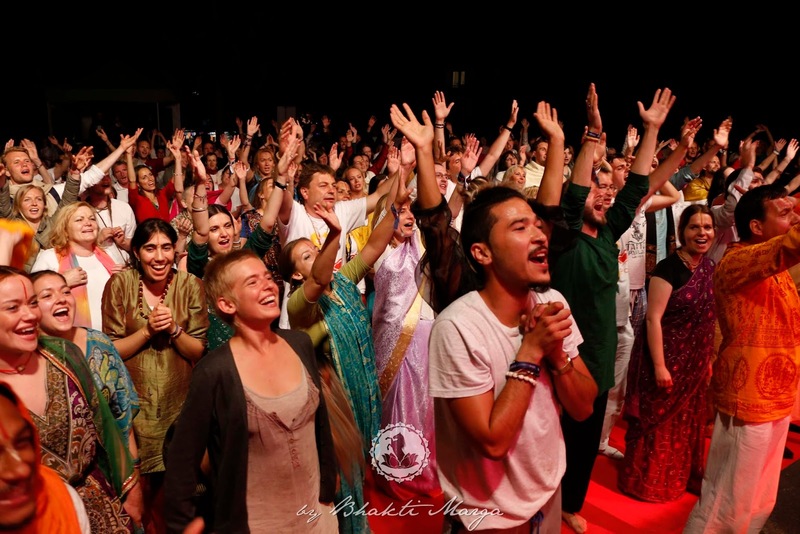 During this second day of the 10YBM Celebrations, Bhakti Marga devotees had an unforgettable, awesome time at Shree Peetha Nilaya, embraced by the Love of Sri Swami Vishwananda and Divine Mother.